Foliicolous fungi were collected on living plants of mycologically rarely explored plant families in the montane Quercus-Chusquea forest of western Panama. Five new species of the genera Periconiella, Pseudocercospora, Sporidesmium, and Zasmidium are morphologically described from living leaves of Myrsine coriacea (Primulaceae) and Clusia stenophylla (Clusiaceae). 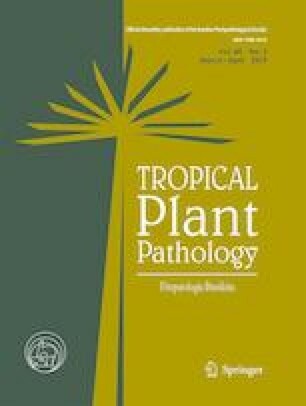 A species of Bomarea (B. caldasii, Alstroemeriaceae) is recorded as host for a cercosporoid fungus (Cercospora apii s.lat.) for the first time. We thank the Universidad Autónoma de Chiriquí (UNACHI, David, Panama) and the Ministerio de Ambiente (MiAmbiente, Panama) for administrative support. J. Bernal, O. Cáceres, and M. Piepenbring are thanked for administrative and infrastructural help in Panama. R.F. Castañeda Ruiz is thanked for providing literature. The study was financially supported by the Ministry of Science and Technology of Taiwan (NSC100-2621-B-008-001-MY3) and the SENACYT of Panama (project number APY-GC-2015-57, R. Villarreal, and the national research program SNI).